On 27 March, India entered an exclusive club of nations capable of destroying space-borne satellites as it launched a missile to destroy an Indian satellite. Bengaluru: The highest decision-maker of the US space agency NASA has taken a dim view of India’s recent anti-satellite (A-SAT) missile test, criticising the mission for the space debris it created. Of these, he explained, only those that are 10 cm or bigger can be tracked. According to him, 60 such pieces had been spotted. 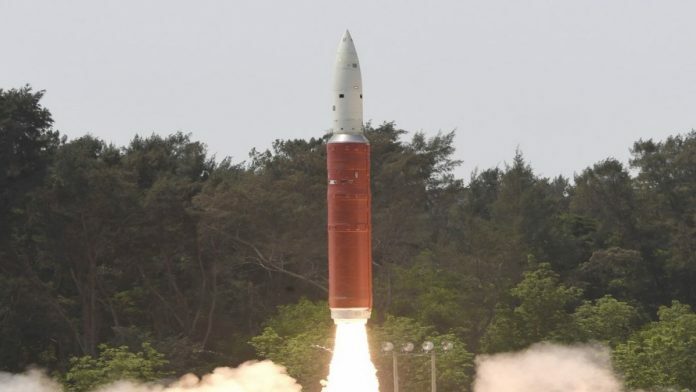 On 27 March, India entered an exclusive club of nations capable of destroying space-borne satellites as it unveiled Mission Shakti and launched a missile to destroy an Indian satellite. Only three other nations boast of this expertise — Russia, US and China. Since then, there’s been much debate about the need for such tests on account of the debris they leave behind in space. Debris and all objects in space are tracked by multiple international agencies, including the US Strategic Command, the NASA Orbital Debris Observatory, the European ESA Space Debris Telescope, the German Tracking & Imaging Radar (TIRA) system, the Massachusetts Institute of Technology (MIT)-operated Haystack Observatory, and the European Incoherent Scatter Scientific Association (EISCAT). At the townhall, replying to a question about the space debris caused by the A-SAT test, Bridenstine said NASA disapproved of the exercise. According to him, estimates made by NASA and the Combined Space Operations Centre (part of US Strategic Command) indicated that the chances of the ISS being hit by small debris had shot up by 44 per cent over a period of 10 days. However, Bridenstine did state that the debris was low enough — India had targeted a satellite at a 300-km altitude — in orbit that it would eventually disappear, unlike a 2007 Chinese mission, which targeted a satellite at an altitude of 800 km and created debris that is still orbiting in space. The US had also conducted a similar test in 2008, when a USA 193 satellite was hit with a ship-borne missile. Most of this mission’s debris burnt up within weeks, but a few remained in orbit for 18 months. Bridenstine, meanwhile, clarified that the astronauts aboard the ISS, which orbits the Earth at an average altitude of just over 400 km, were safe.